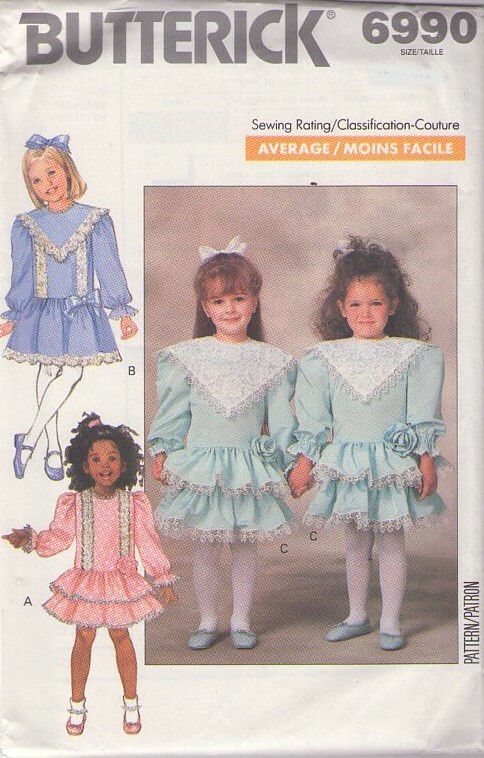 1988, 80s Children, Retro Fancy Party Clothing Patterns - CHILDREN'S DRESS Dress, mid-knee and below mid-knee, has fitted, dropped waist bodice, back zipper and long sleeves with elastic. Purchased trim. A,C: attached ruffles and flower. B: dirndl skirt and purchased ribbon bow B,C: collar (contrast C).